2011 marks the 100th year of JMB's 1911 design. Sort of. 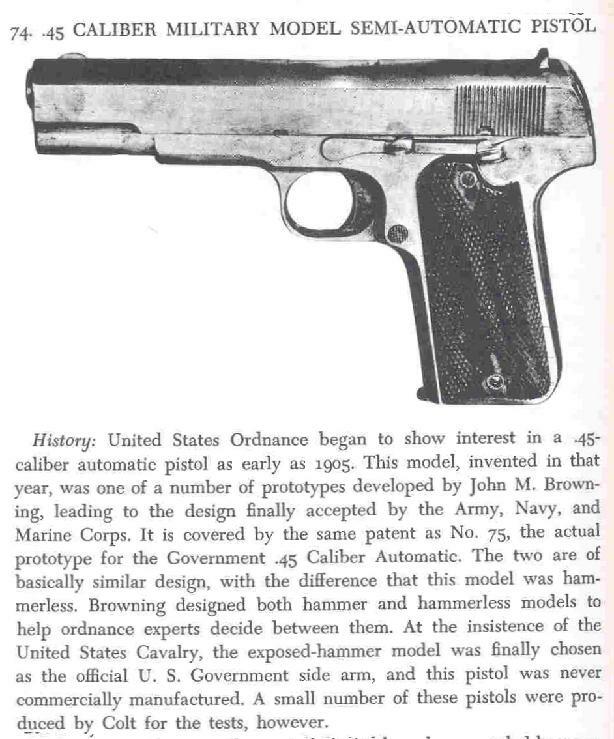 You see, he actually designed the gun in 1905, and then incrementally improved it leading up to the acceptance tests in 1910, whereafter it was adopted as the Army service pistol on 29 March 1911. 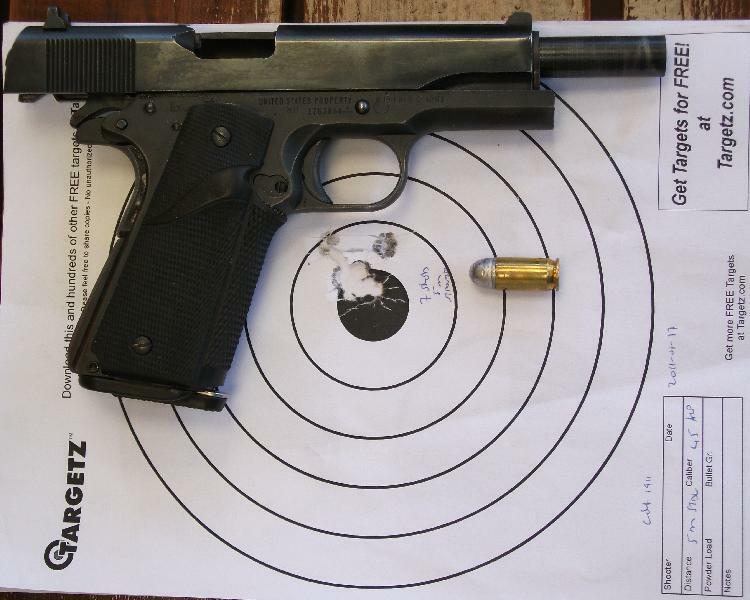 Some serious field testing lead to more improvements and the M1911A1. Back in 1994 Etienne (work colleague) and I went shooting. I took my only gun at the time, the Taurus 357, and Etienne had his 1911. It was love at first sight for me, I really enjoyed shooting that 1911. Told Etienne that if he ever wanted to get rid of it I'm first in line. Fast forward a number of years and Etienne moved to California, leaving me his 303 and M1911A1. I ended up paying him R500 which I think was a complete bargain. 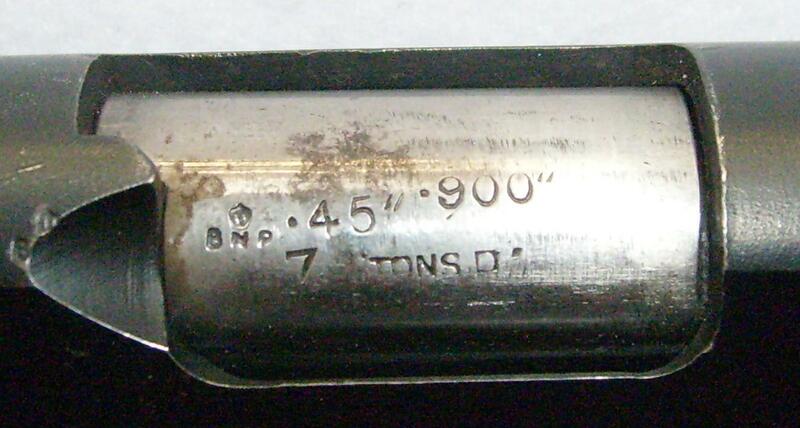 The serial number puts it in the first few months of Remington Rand's production of 72 795 pistols in 1944. Note the BNP proof mark. If you're into this kind of thing you definitely need a copy of Charles Clawson's Collector's Guide to Colt .45 Service Pistols. The H B 1 proofmark, for example, indicates that this pistol was inspected (and subsequently sold to the public) in 1982, which is shortly before Etienne bought it (He fitted the Pachmayr grips and magazine, but he tells me he still has the original grips somewhere). FJA was Colonel Frank J. Atwood, the Inspector of Ordinance for all the Remington-Rand 1911s. 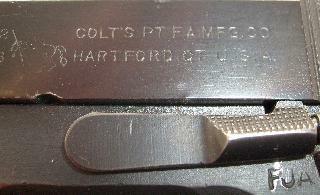 Typical of ex-army firearms, the slide doesn't match the frame. The style of the pony shows that the slide might predate the frame by a few months. I. Just. Love. Shooting. This. Gun. I really only appreciated the term "extension of your arm" when I shot an IDPA match with it. And I've been a revolver shooter since the beginning, still prefer revolvers in general. Seven shots from 5m standing. 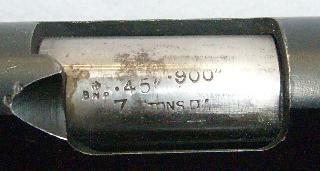 Reloads using Josyd 230gr round nose cast bullets ahead of 5.5 grains of MP200 for 750 fps. Mixed brass, CCI 300 primers.